3 for $168.00 total Need more quantities? The calendar may say winter, but you can enjoy the fresh scents of spring indoors while waiting for the real thing. 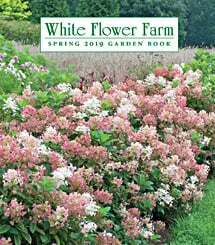 Our collection includes rosy purple with gold Tulip 'Sahara Rally,' creamy Tulip 'Verona,' showy Narcissus 'Fortissimo,' double white Narcissus 'Sir Winston Churchill', fragrant Hyacinth 'Anastasia,' and two kinds of Grape Hyacinths. Each collection includes 21 bulbs, ready to begin growing on arrival. We ship 3 bulb collections in 7" woven baskets, 1 to each of 3 addresses. Your gifts will be delivered, with complete care instructions and your greetings enclosed. As always, every gift from White Flower Farm has our unconditional guarantee. In spite of keeping this garden in a SW window with excellent sun and maintaining appropriate water levels, it looks terrible. The flowers are anemic and greens are frail. Very disappointed!